It is with heavy hearts we announce that our Brother, Uncle, Father, Grandfather, Great Grandfather, Joe G. Sandoval, was called home on December 26th, 2017 at the age of 83, in Santa Paula, California. Joe was born October 3rd, 1934 to Tomas and Nellie Sandoval in Fillmore, California. After graduating from Fillmore High School he served as a Corporal in the US Army. Joe went on to become a heavy equipment operator for Nelson & Belding for several years, eventually retiring from Chaparral Construction at the age of 55. Joe loved to talk about the “good old days,” and loved sharing his childhood memories of he and his siblings. He also loved to be outside, watch his children and grandchildren play sports, and find great deals on a daily lunch special. Joe loved good food and good conversation. His favorite place to visit was the Chumash Casino, and would take frequent trips there with his good friend George. In his later days, Joe’s favorite job was being the best Great Grandfather to his 5 great grandchildren, and even had one more on the way. Joe leaves behind his children, Joseph, Crystal and Anthony Sandoval. He also leaves behind his Grandchildren, Jonathan (Nikole) Sandoval, David (Nicole) Valenzuela, Jenna Sandoval, Alex (Mandy) Valenzuela, as well as his 5 Great Grandchildren Nathan, Riley, Alexis, Jurae, Brandon, and another baby boy due in March. He is also survived by his brother Tom Sandoval of Arizona, and Dorothy Sandoval whom he was married to for over 15 years, as well as many nieces and nephews. Joe was preceded in death by his parents, brother John, and sister Rachel. The recitation of the rosary will be held on Friday, January 5, 2018 at 9:30 a.m. followed with a Funeral Mass at 10:00 a.m. at St. Francis of Assisi Catholic Church, 1048 W. Ventura Street in Fillmore, Ca. A reception will follow the services. For map and directions to ceremony locations and to sign the family’s online guestbook, share stories and post pictures please visit our website: www.santapaulafuneralhome.com and click on Joe’s name located below “Recent Obituaries”. The Rev. Harvey H. Guthrie, Jr., retired priest of the Episcopal Church, died on December 17, 2017 in Oxnard, California. Born in 1924, he was the son of Harvey H. and Emma Aubrey Guthrie. He returned to his native Ventura County upon retirement in 1995, after more than fifty years. He had served as an instructor at the General Theological Seminary in New York City, as a professor and then dean of the Episcopal Divinity School, Cambridge, MA, and, finally, as rector of St Andrew’s Church, Ann Arbor, MI. He was preceded in death by his wife of 70 years, Doris Peyton Guthrie, and their oldest son, Lawrence. He is survived by his three remaining children, Lynn of Seattle, WA, Stephen (and three granddaughters) of Cambridge, MA, and Andrew (and Katrien Jacobs) of Hong Kong, as well by his brother Jim (and his wife, Ann) of Port Angeles, WA. The Episcopal Church’s Burial Office and Eucharist will be celebrated at Trinity Episcopal Church, 2nd and Saratoga Sts., Fillmore, on February 17, 2018, at 10AM. In lieu of flowers, contributions can be made to One Step a la Vez (http://www.myonestep.org/) and Trinity Episcopal Church (PO Box 306, Fillmore, CA 93016). 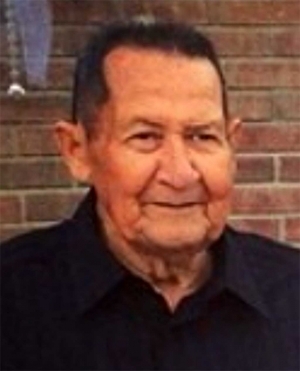 It is with such sorrow we announce that our beloved Patrick G. Casas Sr. was taken from us much too soon on Dec. 16, 2017. He was the son of Patrick and Terri Casas, brother to Jason Casas and Kinsie Flame, beloved husband to Sandy Casas, and loving father of Patrick G. Casas Jr., Nicholas Casas (wife Marisela) and Roxanne Casas. He had one granddaughter, Ivy Lola Casas, who he adored. He worked in the oil fields all his life. He loved what he did, especially on his Sespe Mountain. He was an outdoorsman, a hunter and fisherman. He was fond of his guns/archery and liked to golf. He devoted a lot of his time participating in events and functions for the Piru Petroleum Club, where he spent his last few years as president. He was a man with many friends who knew him for his sense of humor. He will be missed by numerous family members and to everyone who knew him. Services will be in Piru at San Salvador Mission at 10AM on Fri. 12/29, 2017. Mary Barbara Lemke passed away peacefully on Dec. 14, 2017. A Fillmore resident since 1977, Mary Barbara was born May 28, 1915 in Yakima, WA. She graduated from St. Joseph Academy in 1933. She worked for Rincon from 1977 until her retirement in 1991. She is preceded in death by her sister Rita Lawton (John). Survived by her sister Joan Brock (Charles), nephews Howard Reichert Jr and Jon Reichert, nieces Marita Nicholson (Larry) and Barbara Moore (Rick). Services will be held at Bardsdale Cemetery 1698 S.Sespe St., Fillmore, CA Dec. 21, 2017 at 11:00am. Mae Joy Ellis, age 85, passed away peacefully on December 8, 2017. Mae was born in Oklahoma in 1932 and came to Fillmore California at about age one with her parents Anna and John Swearingen, siblings David Swearingen (deceased) and Faye (Swearingen) Butler. She is also predeceased by husbands Elmer Ellis and Roland Leach, daughter Karen (Ellis) Tayler, brother-in-law Clifford Butler and niece Reba (Butler) Adams. Mae is survived by son Dean (Betty) Ellis, sister Faye Butler, nephew Allan (Carole) Butler, nieces Jane Boyd Hickock, and Doris Fleming, grandchildren Brooke Taylor, Jannelle Taylor, Grant Taylor, Nathan Ellis, Wade Ellis, and great-grandchildren Ever Ellis and Case Ellis. Mae was devoted to family and happiest cooking, visiting, going for walks and playing dominoes with them. She loved flowers and often cut flowers from her yard to enjoy in a vase in the house. She also had many dear friends. She will be greatly missed but live on in our memories. She was a member of the Nazarene Church her entire life. A celebration of life memorial service will be held December 18, 2017 at 1 pm at the Church of the Nazarene, 422 Central Ave., Fillmore, CA. Jack Howard Ellsworth died peacefully in Huntington Beach, California on August 16, 2017, just two weeks before his 94th birthday. Jack was born on September 4, 1923 in Fillmore to Howard Ellsworth and Gladys Clapperton Ellsworth. He spent his childhood in Bardsdale and Fillmore with family and friends. Jack left Fillmore High School in 1941 to join the U S Navy. He served aboard the heavy cruiser USS Pensacola as an electrician’s mate during WW2, fighting at Midway, off Guadalcanal, at Tarawa, the Marshal Islands, the Aleutians, the battle of Leyte Gulf and the invasions of Iwo Jima and Okinawa, and surviving 12 major sea battles. After the war, Jack moved to Huntington Beach, where he began his metal fabrication business. 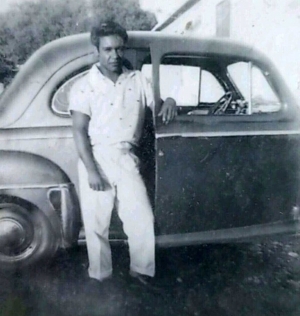 Jack was accomplished electrician, metal worker, carpenter and craftsman. He had an amazing knack for creating and inventing things. He never lost his love of the sea and spent many years crafting a custom 32 foot sailboat all of wood. Jack gained his interest in short wave radio as a youngster in Fillmore, and continued as an active HAM radio operator throughout his life. He was a generous, witty and dedicated individual who was passionate about ships, inventions, his son Jackie, and politics. He married four times (Patricia Pence, Evelyn Entringer, Clara Gallagher and Mary Cowley). His son Jack William “Jackie” Ellsworth was his pride and joy. Jack is survived by his sister Barbara Ellsworth Bates of Bakersfield, nephew Kenneth Bates and nieces Susan Bates-Harbuck and Patricia Bates. He is proceeded in death by his son Jackie Ellsworth, his parents, his sister Marion and his niece Diane Murdock. A celebration of Jack’s life will be held Saturday December 16 at his home in Huntington Beach from 11 AM to 2 PM. By his request, cremation has taken place and Jack will be laid to rest at Bardsdale Cemetery with military honors in January of the new year. The family would like to thank Jack‘s friends in Huntington Beach for their care, compassion, friendship and dedication. W6WTD signing off. Please join us in celebrating the life of our husband, brother, uncle, cousin, Donald Christopher Vela on Sunday December 17, 2017, City of Fillmore-Central Park at 2:30 pm. “Donnie” as we knew him, was born on December 18, 1962 in Santa Paula and passed away on October 2, 2017 in Palmdale, CA. Donnie was active in many church and civic organizations including The Moose Lodge#1625, Elk’s Lodge #1321, AVHOGS of Palmdale, Lancaster, Honor Guard, IBEW Local 47. His love for baseball began with Fillmore Little League and continued on well into his adulthood-playing for Fillmore High School, Santa Paula Trojans, and Lancaster Blue Jays. Don spent over 30 years employed at Southern California Edison where he would have retired this December after 32 years of service. He was educated in the Fillmore School System graduating in 1980. He loved to give of his time djing the Alumni Dinners for his alma mater over the last several years. He also dj’d for the Sunday Dances at the Moose Lodge in Lancaster where his company Bionic Boogie Productions helped people of all ages have a good time. He was an ordained minister. Donnie is survived by his first true love of 7 years Estella, (Rosamond), sister, Kate Vela Carrillo/Eddie Carrillo, their children Andrew and Maggie of Fillmore. He was predeceased by his father Donald Sr, mother Loretta Vela, Sisters Leticia and Anita, Nephew Scott, numerous cousins and many friends. After a gallant battle with congestive heart failure, John Leonard (Jack) Schleimer passed away on November 19, 2017 in Ventura, CA at the age of 92. 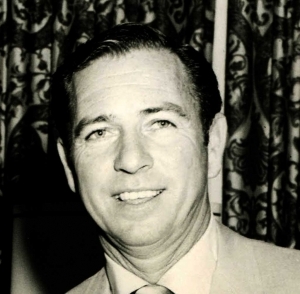 A long-time resident of Fillmore, CA, Jack was born on August 9, 1925 in Los Angeles to Gertrude and John Schleimer. He attended Fillmore High School where he played basketball and was a band member and graduated in 1943. After high school, he joined the Merchant Marine and became a commissioned officer and served for two years during and after World War II and during a train trip to San Francisco he met his future wife of 67 years, Jeri Carpenter. After his service, he became a master carpenter and had a long and distinguished career in the building industry from project foreman to superintendent to home builder himself. One of his greatest accomplishments was the re-building of the famous Piru mansion to its original glory after it had completely burned down. 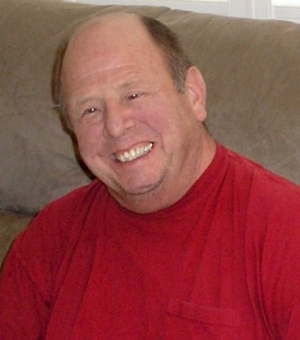 He was proceeded in death by his wife, Jeri, and is survived by his son, John H. Schleimer (Celeste) and his daughter, Susan Dudley Morales (Gilbert); his sister, Josephine Myers and brother, Jim Schleimer (Nikki); his grandchildren Tiffani Ross, Krystol Stemm (Terry), Ashley Powell (Isaac), Tyler Dudley (Jazzymn) and Catlin Czirban; and his 12 great grandchildren. He spent his last three years with his companion, Cathy Barringer. At the request of Jack, there will be no services but his ashes will be spread this summer near his beloved second home in Pagosa Springs, CO.
Joyce L. Basolo passed away peacefully on November 28, 2017 at the age of 86. An only child, she was born, Joyce LaVonne Krink on August 5, 1931 to parents Ethel and Jim Krink in Fillmore where she lived her whole life. Joyce married her true love, Buck Basolo, shortly after graduating from Fillmore High School in 1949. Joyce was a devoted and loving wife, mother, grandmother and great-grandmother. She was predeceased by her husband, Buck and her grandson, Michael. Joyce is survived by son, Doug Basolo and daughter, Debby Basolo-Curnett (Tom Curnett), grandchildren, Bryan, Kammi, Linzi and Beau Basolo, Denae Curnett-Garrett (Dave Garrett) and LeAnna Curnett-Thompson. Great grandchildren are Conner, Peter, Adan, Mia, Austin, Alice, Oliver, Kyle, Emily and Greyson. 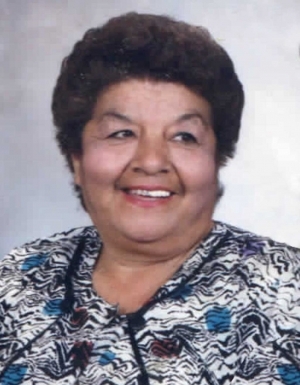 Joyce worked as an office manager for Fillmore High School for many years, and in addition to the daily routine of a busy office, she enjoyed chaperoning dances and field trips, was voted as grand marshal for homecoming and was considered a “second mom” by many students there. She also worked as secretary at Piru Elementary School and ended her 28 year career with the district as secretary to the assistant superintendent. 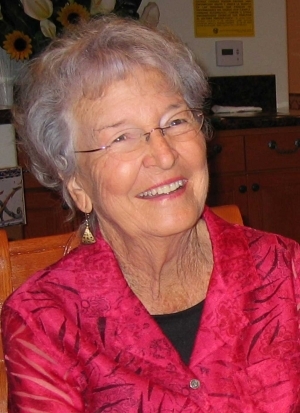 Joyce enjoyed camping and fishing at the beach and the Sierra Mountains. Buck and Joyce loved dancing and had their own unique style. Not many dances were held in the area that they did not attend. She enjoyed cooking and trying new recipes (some of which are a story for another time). She also loved playing cards…any card game and taught her children and grandchildren to play as well. Hundreds of hours of fun were had playing cards after family dinners. 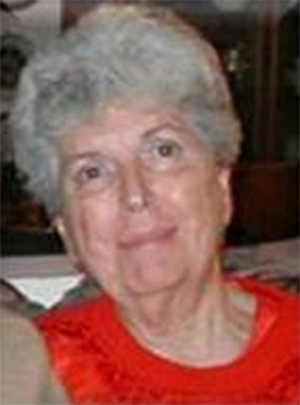 In recent years Joyce enjoyed making several trips a year to the Chumash Casino with her friends. She also enjoyed knitting and has donated dozens of baby hats for the newborns who leave Santa Paula Hospital with nice warm little heads. A graveside service will be held Friday, December 8 at 11:00AM at the Bardsdale Cemetery in Fillmore. Immediately following the service a reception will be held at the Trinity Episcopal Church located at 600 Saratoga Street. in Fillmore where friends are invited to share memories and celebrate Joyce’s life. For map and directions to ceremony locations and to sign the family’s online guestbook, share stories and post pictures please visit our website: www.santapaulafuneralhome.com and click on Joyce’s name located below “Recent Obituaries”. Mark Douglas Maxwell, 58 years old, beloved dad, grandpa, brother and friend passed away at his residence in Kasilof, Alaska on November 10, 2017. A Celebration of Life gathering will be held December 10, 2017 at 1:00 pm at Elkins Golf Course. Mark Douglas Maxwell was born March 25, 1959 at Santa Paula Hospital. He graduated Fillmore Union High School in 1977, where he was president of the Future Farmers of America and was very active raising market swine. He was on the varsity tennis team and played football his freshmen year. Mark married Tammie Barthel in 1982 and they had two children, daughter Jennifer and son James (J.D.). Mark worked in the oil fields in and around Coalinga, CA until he joined the Department of Corrections and graduated from the course in early 1988. He retired from the state in 2009, and lived life and enjoyed retirement by doing what he loved, hunting, fishing and golfing. Mark enjoyed traveling and especially visiting his grandkids, Julieanna and Maxwell (his namesake) in Tennessee. He moved to Kasilof, Alaska in 2013 to be near his brother Todd and to enjoy God’s country, as he would say. Mark is preceded in death by his mother, Jalaine Helms, grandmother Mildred Dewey, grandfather Franklin Dewey and his aunt Helen Powell. He is survived by his daughter Jennifer and her husband Danny, their children Julieanna and Maxwell, by his son James (J.D. ), his brother Todd, his uncle Bill and wife Ellen, nieces Cathy and Kris and their children, his two dogs Sissy and Marbles, and numerous friends who lived near and far. Max, as he was called, was well loved and adored by his family and friends. He will forever be missed and never forgotten. It is with heavy hearts and great sadness that we announce that our beloved Husband, Father, Grandfather, & Great-grandfather, JOE LUIS MAGALLON, was called home to be with the Lord at the age of 67. He fought a very lengthy fight with Pulmonary Hypertension and COPD. October 31, 2017, marked the 45th wedding anniversary for Joe and his wife Olivia. Unfortunately, he lost his battle and passed away that morning at home where he wanted to be with his loving wife by his side. 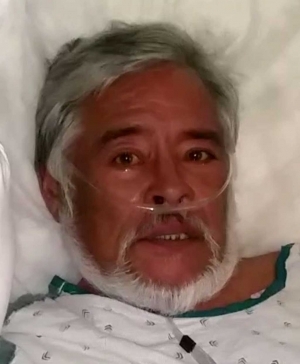 Joe is survived by his Wife Olivia Alcocer Magallon of Fillmore, CA; Sons, Joe Magallon (April), Johnny Magallon (Clarissa); Daughters, Crystal Montañez (Luis) and Arlene Hokafonu. He will be dearly missed by his grandchildren; Shalyssa Magallon (Ty Casey), Alexandra Arteaga, Janessa Magallon, Jayleen Magallon, Joseph Magallon, Isiah Magallon, Jeremiah Magallon, Johnny Magallon, Jazzlynn Magallon, Jasiah Magallon, Jason Magallon, Jayden Magallon, Angel Heredia, Abreyana Molina, Angel Montañez, Amy Montañez, Abel Montañez, Alahni Montañez, Jonathan Allen, and Aurora Allen; Great- grandson Jordan Casey. Joe also leaves behind his mother Elisa De La Rosa Magallon, Brothers, Ernie Magallon, Armando Magallon (Martina), and Pablo Magallon; Sisters, Margarita Byrami, Elisa Cassino, and Leticia Dickerson (Dennis), numerous nieces, nephews, cousins, and friends. He is preceded in death by his Father, Pablo Magallon, Brother Ralph Magallon, Sisters Angelica Magallon, Rosie Magallon Sumner. Joe was born on December 22, 1949, in San Fernando, California, to Elisa De La Rosa Magallon and Pablo Magallon. When Joe was 1 year old, his family had moved to Ocotlan, Jalisco, Mexico, where he was raised for the next 8 years. At 9 years old, Joe and his family returned to California and settled at the Old Rancho Sespe, where he grew up. Joe loved music and was a talented musician who played by ear. At 17 years old he joined a Mexican band named “Los Latinos” who’s female vocalist was Alicia Juarez, who later became a famous Mexican singer. After leaving Los Latinos, he joined a few other groups playing gigs, parties, and weddings throughout Ventura County. In October of 1973, Joe married his lovely wife Olivia Alcocer who was from Piru. Joe continued his music career until he became a Truck driver for the next 20 plus years. 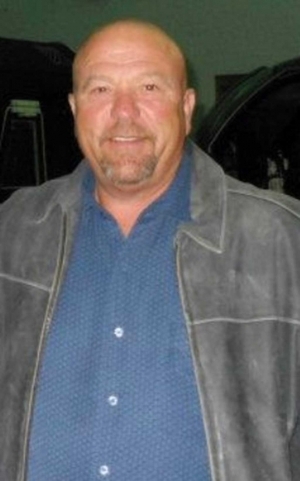 During his trucking career he worked for a few companies before settling with Carpinteria Motor Transport (CMT). Joe worked long hours days at a time, many times missing his family while on the road. On his days off he enjoyed taking his family on camping trips, fishing, boating. He volunteered coaching soccer and baseball when his sons were younger. When his daughter entered high school in the 90’s, he would volunteer chaperoning events like her class car washes and school dances. Joe would try to be a part of his children’s extracurricular activities when he could. In December 2009, Joe was diagnosed with Pulmonary Hypertension at that time he was given two years to live. However, he was a fighter and was determined to prove the doctor wrong. Well he did! We were blessed to have him for the next 7.5 years. In that time, he was blessed to welcome 7 more grandchildren, 1great-grandson. January 2017, Joe’s health started to slowly decline, yet he kept his sarcastic fighting spirit until the very end. We the family would like to thank Xavier Bobholz for being a great caregiver to our father. To Dad you weren’t just his caregiver you were family. Each of us have numerous memories of Dad that we will forever hold close to our hearts. The Rosary Service will be held on Thursday, November 30, 2017, at 7:00 pm at St. Francis of Assisi in Fillmore. Funeral Mass will be held on Friday, December 1, 2017, also at St. Francis of Assisi Church, 1048 W. Ventura St., Fillmore, CA. Burial will take place immediately thereafter at Bardsdale Cemetery, 1698 S. Sespe St., Fillmore, CA. A potluck reception will follow funeral services for family and friends located at the Youth Building BEHIND the Veterans Memorial building, 511 Second St., Fillmore. Ethel Lowedith Legan was born August 3, 1927 in Ringling, Oklahoma. She passed away November 9, 2017 in Fillmore, CA at the age of 90. Preceded in death by her husband, Forrest V. Ward, Samuel W. Legan, and son, Forrest G. Ward. She is survived by son, Anthony L. Ward, and daughter Vanessa C. Hathaway, stepsisters, Lorie Korte, Barbara Matchette, along with 6 grandchildren, 6 great-grandchildren, and 3 sisters. 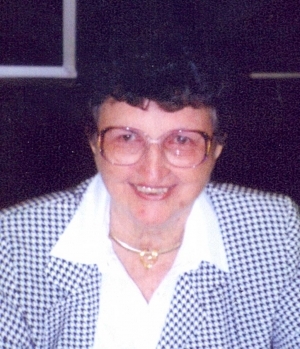 Ethel was a member of Church of Christ in Fillmore. She had many friends and family. Funeral Service will be held on Friday, November 17, 9:00am to 10am at Skillin-Carroll Mortuary, 600 N. Central Ave Fillmore, CA. 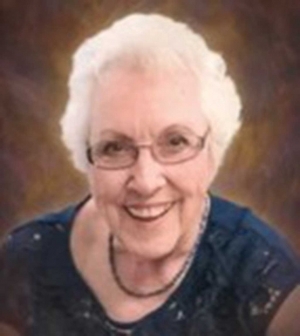 Patricia Lucille Rees, 87, of Fillmore, CA - It is with sorrow that the Rees/Faith family announces the passing of Patricia (Pat) Rees, beloved wife, mother, grandmother and great grandmother, who went to be with Jesus on October 20, 2017, after a second stroke. Pat was born May 30, 1930, the only child of Leonard and Avice (Owen) Young, in Los Angeles, California. Pat grew up in Whittier, CA, and attended Cal. State Santa Barbara where she met Ralph Rees, her husband of sixty-six years. After their wedding in Whittier, the young couple had a three-year stay in Mendota, CA, while she finished her bachelor's degree in art at Fresno State University. At that time she gave birth to their firstborn, Janine. In 1953, Pat and Ralph moved to Fillmore, their home for the next 54 years. In the coming years she would be blessed with four more children, Wendy, Robin, Jason and Brady, to whom she lovingly devoted all her energies and talents, in the house that she and Ralph built, known around town as the "round house" on Third St. In the early 1970's, Pat shared her skills educating parents and preschoolers in the Head Start program at Piru and San Cayetano School. Highly creative and artistic in all she did, Pat loved working with fabric, sewing and quilting, and worked at the local fabric store. All the members of her family and many a newborn at church received one of her hand-crafted quilts. She started her own business creating first of their kind windsocks, wind wands, custom banners and flags—her artistry spread far and wide through street fairs. Pat was devoted to her Lord and took great joy serving in her church fellowships. She was one of the founding members of Faith Community Church of Fillmore. Pat was warm and sympathetic, and was a blessing to every life she touched. Patricia was preceded in death by her husband, Ralph, and her daughter, Janine Rees (Bill Faith). She is survived by her children Wendy and Robin Rees, Jason (Bethann Buddenbaum) and Brady (Ina Rosales); her grandchildren Luke (Nadya) Faith, Hannah Faith (James Horn), Tara, Nora and Claire Faith and their father Bill Faith, Nathan Reeder, Emma and Fiona Rees; great grandchildren Peyton and Bradley Reeder, and Lillian, Samuel and Victoria Horn. A Life Celebration will be held at Faith Community Church of Fillmore, 355 D Street, on November 11 at 1:00 p.m., Pastor Mark Rathe officiating. For those wishing to makes a donation in her memory Pat’s favorites included: the Senior Nutrition Program-Meals on Wheels—donations could be sent payable to the City of Fillmore with a notation that’s what it’s for; Ventura County Rescue Mission - Lighthouse for Women & Children, 234 E. 6th Street, Oxnard, CA 93030; Mission Aviation Fellowship, P.O. Box 47, Nampa, ID 83653; or Faith Community Church - Building Fund, 355 D Street, Fillmore, CA 93015. Denise K Bashford Ables went home to be with our Lord on October 19, 2017. After being diagnosed with a fatal lung disease, Denise was admitted to the Santa Maria Hospital over a month ago. Denise was Born June 13, 1960, to Dennis and Elaine Bashford in Whittier CA. The family moved to Fillmore in 1972 and purchased the Western Auto Store. 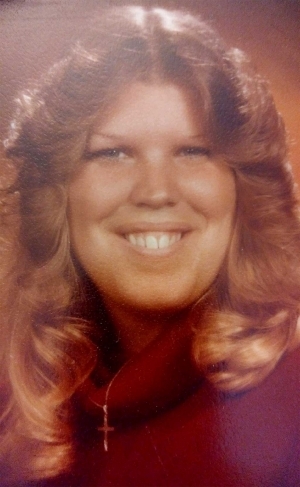 Denise was a 1978 graduate of Fillmore High School and also attended Ventura Jr.College. On October 26,1980, she was united in marriage to Wayne Ables, son of Faye Ables and R.W. Ables (deceased) of Fillmore. Denise and Wayne had two daughters, Mellissa Ables Arvizu, husband Jose, two sons, Aiden (6) and Alex (3) of Tucson AZ; and Lindsay Ables Howland Millsap. Lindsay has two daughters, Hailie Ables-Howland (14) and Dakota Millsap (5). Lindsay and Dakota live in Hawtowne NV and Hailie lives in Ripon CA. Denise enjoyed visiting with family and friends. She enjoyed cooking and baking and quite often shared with others including friends, relatives, church members and senior citizens. She was very talented and creative when it came to arts and crafts. She had a fondness for making Unicorns. 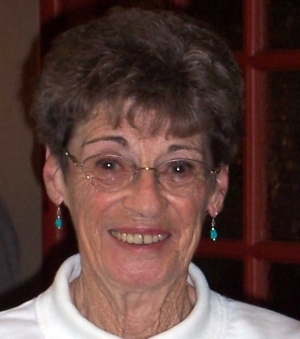 She donated many hours of service to the Senior Center Club in Santa Maria CA. She was a very giving person. Denise was preceded in death by her father, Dennis Bashford. Denise's mother, Elaine Bashford lives in Ripon CA. Denise had one sister, Donna Hanna, husband Azar and four children, Christopher, Andrea, Steven and Brent who reside in Fremont, CA. Services to be in Tehachapi CA. Mae D. Gonzales was called home to our Lord on Saturday October 7, 2017. Born May 9, 1928 to Martin and Angelita Dominguez. She worked for the Piru/Fillmore Citrus, where she retired from. She was full of life with her beautiful smile. She was preceded in death by her parents Martin and Angelita Domingguez and her son Frank (Two Bears) Ortiz. She survived by her husband David Gonzales. Children John/Carmen Ortiz, Ruben/Sherel Ornales, Peter/Wendy Ortiz, and Judith. Grandchildren Timothy Brisby III, Erika/Carlos Chavez, Paula Laureano, Nakoami Padilla, ZebasJian Chavez, Malcolm/Brenda Montes, 13 other grandchildren and 29 great grandchildren. Mass will be held at Saint Francis of Assisi Church on October 26, 2017 at 10am. We would like for you to attend after mass for a gathering at Shields Park. On Sunday October 15, 2017, Roger Campbell, a lifelong resident of Fillmore, California died peacefully at the age of 67 with his son and daughter by his side. He was born to George and Lawanda Campbell on August 22, 1950 in Santa Paula, California. 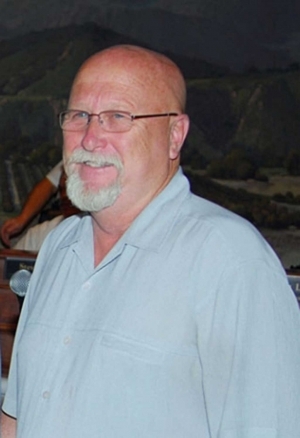 Roger served his beloved community of Fillmore and the County of Ventura through the office of City Council from 1984 to 2000, including being a two-term Mayor, Assistant Fire Chief, member of various boards and committees at the county and state level, and as a Political Consultant. 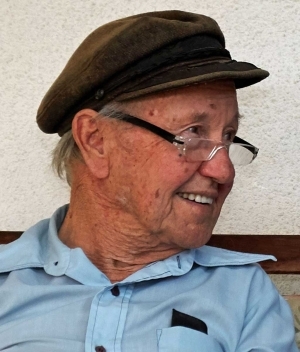 He loved his lifelong home town and always sought the good of Fillmore and its residents. His accomplishments and years of service will last for generations to come. He has touched the lives of many and the loss will be felt by colleagues, friends and family. Roger greatly loved and cared for his family, who will deeply miss him. He is survived by loving parents Chief George Campbell and Lawanda Campbell; brother Richard Campbell and wife Kathy Yakal; sister Carol and husband Chief Pat Askren; first wife Kathy Campbell; daughter Laurie and husband Jon Best and their children Emma, Elena and Daniel; son Mike and wife Jenny Campbell and their children Miriam, Hannah, George and William; his nephews Patrick Askren, Jimmy Faris, and niece Chrissy Fratzel. A memorial to honor his life and service will be held Saturday, October 21st at 10:30 am in front of Fillmore City Hall. In lieu of flowers, please consider making a donation to Autism Speaks. Juanita Campos, beloved wife, Mother, Grandmother, Great-grandmother and Great-Great grandmother went home to join her loving husband Roberto on Sunday, October 15, 2017 at the age of 87. She passed at Greenfield Care Center in Fillmore. Juanita was a faithful woman, a warrior, a fearless little lady. Her selfless acts of kindness helped multiple families achieve the American Dream. She sacrificed to help others without hesitation. Juanita had a God given gift to help the sick and did so faithfully. Her love for life included helping to raise many of her grandchildren. Her green thumb showed in her ever blooming roses and the bountiful supply of fruit and vegetables she loved to share with her neighbors. A lifelong devotion was her dedicating every 1st day of the month to our Blessed Virgin Mary. She loved to pray and teach her children the word of God. Juanita is survived by her 10 children; Ignacio (Nacho), Trinitario (Tallo), Fernando, Manuel (Pepe), Cuca, Malle, Jaime, Rosie, Mari and Roberto (Beto); 31 grandchildren, 40 great grandchildren, 3 great-great grandchildren and lots of extended family. Her legacy will continue to flourish through her large family and roots planted in Fillmore. 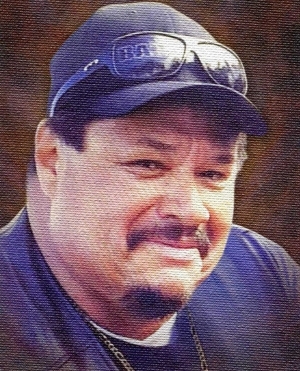 Michael Edward Torres, 64, went to be with the Lord on October 1,2017 surrounded by his family. Michael battled cancer and fought hard until the end. Born and raised in Fillmore, CA, Michael was known and loved by many, many people. He had a heart of gold and a selfless person who continuously went out of his way to help friends and family at all hours of the day. He often mentored those he came in contact with, treating them like family and taking them in. It wasn't a surprise at family gatherings for Michael to show up with friends to join him at the dinner table or at a family dinner. His love and passion was spontaneous trips to Chumash Casino and barbequing with his special sauce. Michael was an owner and operator of Torres Distributing and a produce stand on Highway 126, next to Yamaguchi's Flower Shop of Santa Paula. Shortly, after he joined the family business as an owner of Dino's Drive-In Restaurant and manager of Margaret's Cocina where he hosted car shows and Fourth of July events. Michael leaves behind his parents; Margaret and Rudy Torres of Fillmore, CA. His sons; Michael Torres of Jersey City, NJ and Kristopher Torres of Newport Beach, CA. Siblings; Paula Lopez of Fillmore, CA and Rudy Scott Torres of Los Angeles, CA. And, granddaughter Samantha Torres of Jersey City, NJ. Special Thanks to the staff of Assisted Home Health & Hospice Care and all the loving people who stopped by to support the family. 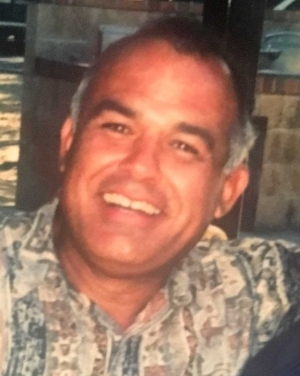 In lieu of flowers, the Torres family suggests that donations be made to the Michael Torres Memorial Fund in support of Prostate cancer research at USC Norris Comprehensive Cancer Center. Please make checks payable to USC Norris and note they are to go to the Michael Torres Memorial Fund. Checks can be mailed to USC Norris, 1441 Eastlake Avenue Suite 8302, Los Angeles California 90033. Attn: Lee McCabe. The celebration of Michael's life will be held in Fillmore, CA at St. Francis of Assisi Church on Friday October 13, 2017 at 9:30am. The officiant will be Father Alex and a reception will be held afterwards with friends and family members. 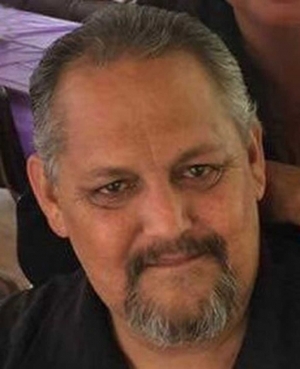 To sign the family's on line guestbook, share stories, and post pictures please visit our website: http://www.santapaulafuneralhome.com and click on Michael's name located below "Obituaries." Funeral arrangements are under the direction of Robert Rey Garcia Jr Funeral Services, 830 E Santa Paula St, Santa Paula, CA 93060. For further information, please call (805) 229-7054. In Memory Of H.W. (Bud) Woods Jr. It is with heavy hearts we announce that our loving father, beloved papa, brother, uncle and friend, H.W. (Bud) Woods Jr., passed away on August 9th, 2017 at the age of 73. After years of battling health problems, his body grew tired and he passed peacefully in Illinois. Bud was born December 22, 1943 in Sikeston, Missouri to H.W. and Bobbye Woods. After graduating Centralia Township High School in Centralia, Illinois, he courageously enlisted in the U.S. Marine Corps. He bravely served and survived two tours in Vietnam. After returning to the U.S., Bud enjoyed life in sunny Southern California. He used his dependability, initiative and leadership skills in upper management with Vons for over 25 years, while raising his family in Fillmore. Bud moved to the town of Moorpark for several years to stay with his son, daughter-in-law and grandchildren. Recently, Bud decided to move back to Centralia IL, which he always considered his home. While he was missed immensely, we knew this was his wish. We were blessed to learn many valuable lessons from Bud, one of which was living with dignity. He had many health problems in his life, but refused to let them deter his cheerful outlook. He showed us that in life, attitude is everything; it is what shapes our beliefs. He never stopped proudly cheering on his grandchildren at their many events. He never stopped listening to his favorite music and singing loud enough for the entire neighborhood to hear. He never stopped meeting new people, nor did he lose his charismatic personality and sharp wit. Anyone who had the pleasure of knowing him would agree that he was a man of great character. He showed us that you don't stop laughing because you grow older. You grow older because you stop laughing. As a proud USMC veteran, Bud taught us the values of respect, duty, and personal courage. One would rarely catch him without his favorite USMC hat or shirt displaying his pride. He took the motto Semper Fidelis (Always Faithful) to heart, always offering unwavering loyalty to his country and the corps. Bud was the moral fiber of our family, a true hero to each and every one of us. We were lucky enough to be a very tight-knit family and spend a great amount of time with him. The bond Bud had with his children and grandchildren was unbreakable. We are better people for having known him. Bud will remain an inspiration to our family and will forever be missed. Bud is survived by his proud children Kacey Woods and Adam Woods (with daughter-in-law Lindsay); his adoring grandchildren Tyler and Ava Woods; and his devoted sisters Carol Pawlisa (with husband Augie), & Jan Just (with husband Butch). Bud was preceded in death by his upstanding parents H.W. Woods and Bobbye Woods, and his cherished brother, Tom Woods.